The year 2017 is ending and we are pleased we have spent it with you. We wish you all Happy Holidays and Happy New Year. 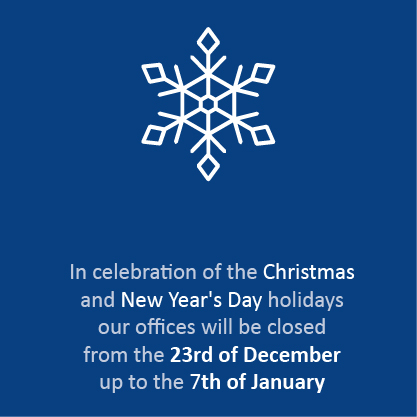 Our offices will reopen Monday 8th January 2017.